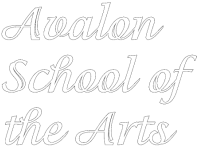 Ruth Burkholder co-founded Avalon School of the Arts in 2004. A lifelong educator, Ruth was passionate about the performing arts and worked tirelessly to provide opportunities for Holland area children and adults to explore theatre, dance, and music. 100% of all contributions go directly to student scholarships. Please contact Rich Burkholder if you'd like to donate to the scholarship fund.